Product code: ES3667 Categories: Sold Items, Sold Rings. 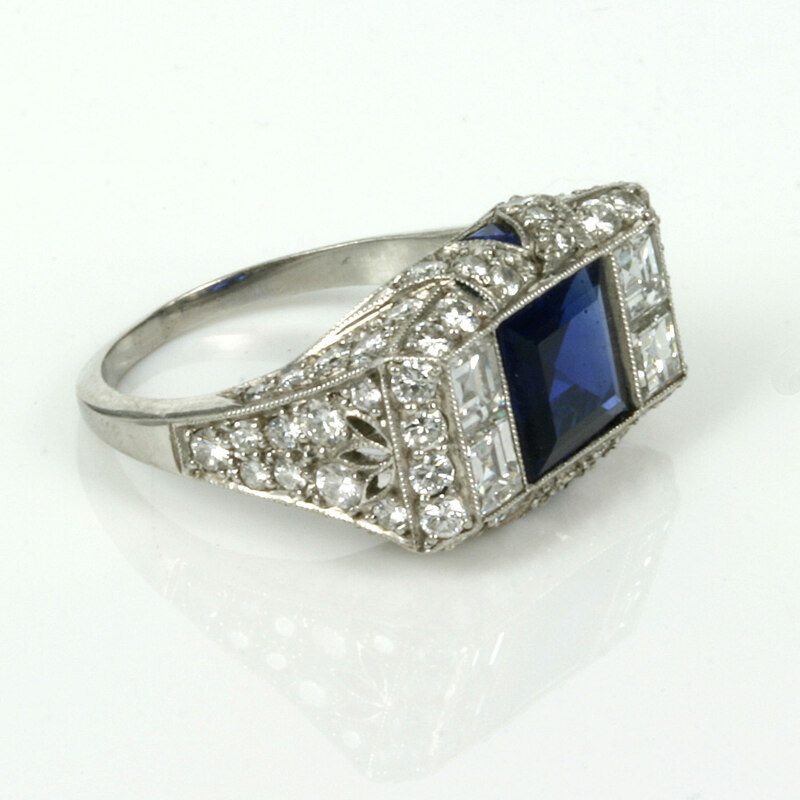 This Art Deco sapphire and diamond ring is spectacular and one of the finest examples of a genuine Art Deco sapphire and diamond ring that you could ever hope to find. Superbly hand made in platinum, the work end fine attention to detail that went into creating this ring is simply extraordinary and will have you admiring it for hours on end. 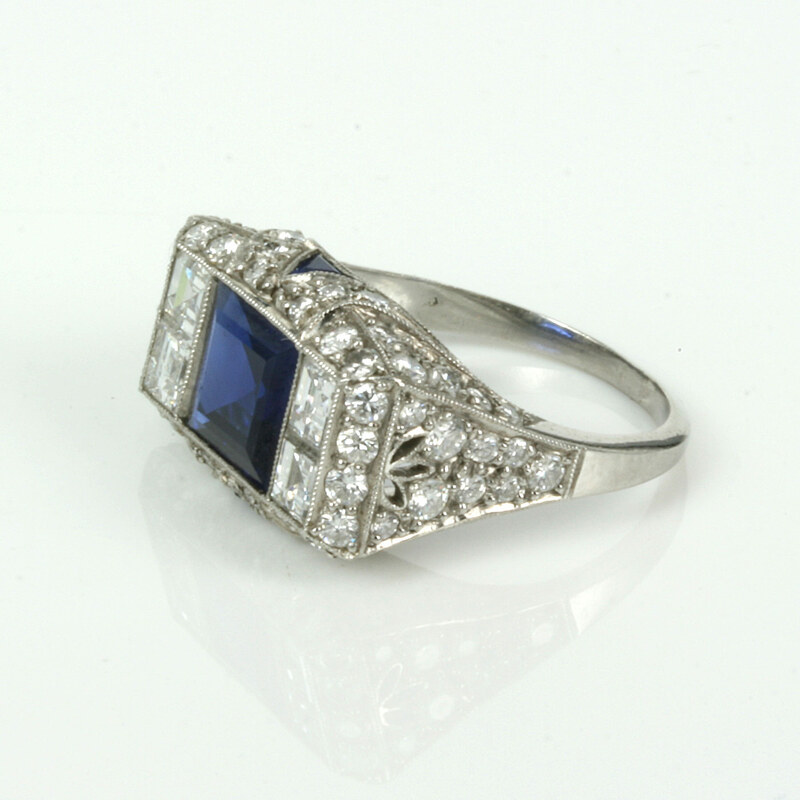 In the centre is a magnificent royal blue natural sapphire that measures 1.90 carats and really looks divine set into the pure white colour of the platinum. 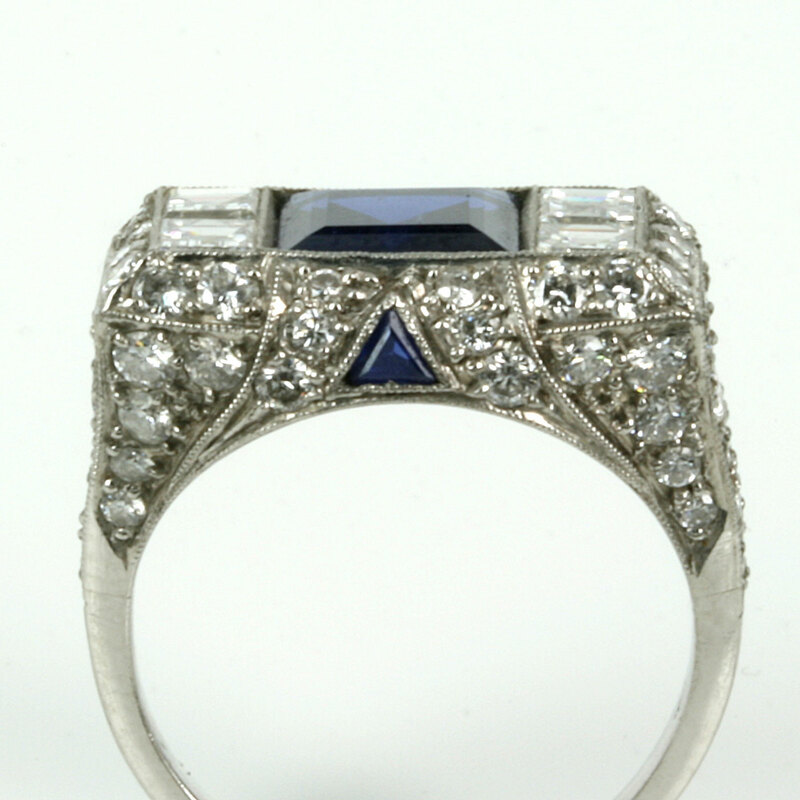 On each side of the sapphire are two square cut diamonds and then a row of four round diamonds. The distance across from the four diamonds over to the other side measures 18.4mm across by 11.9mm wide at the centre. On the shoulders the diamonds run down the side and all of this is highlighted with an open pierce work design. 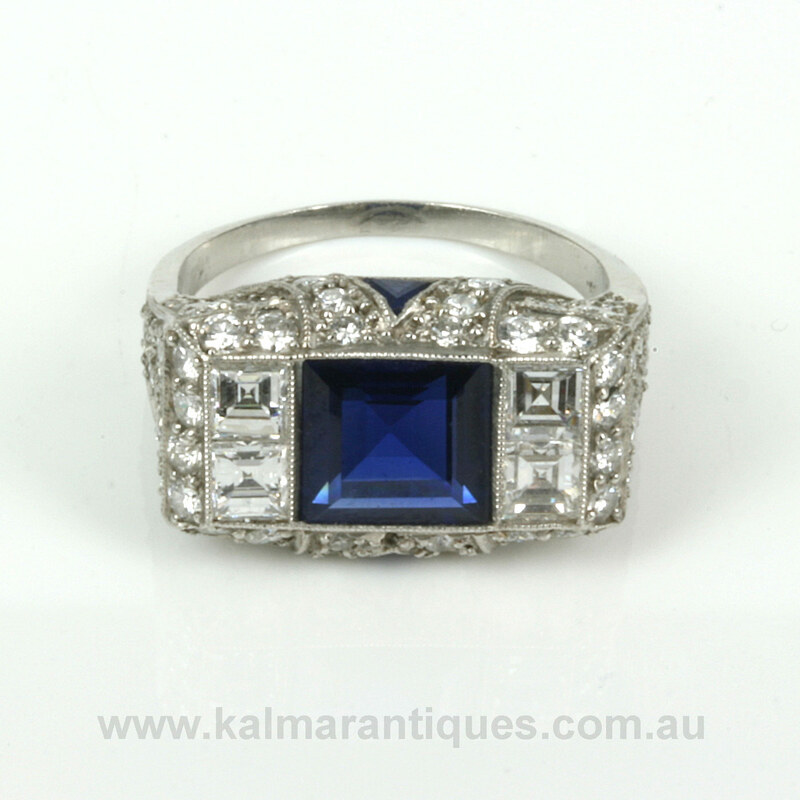 Then on each other side of this ring are not only more diamonds but one triangular cut sapphire that really looks amazing. These side sapphires total 0.04 carats and the four square cut diamonds 0.60 carats. On top of this, there are a further 66 round diamonds that total 1.14 carats, bringing the total diamond weight to an impressive 1.74 carats. From every angle, and no matter what finger this ring is on, it will always look spectacular and get the attention that it rightly deserves.